Dr. Ephraim Engleman is often asked for his advice. The American rheumatologist, who sees patients when he’s not at the prestigious research centre he heads up at the University of California San Francisco, will turn 104 in the spring. A common query: “What’s the best way to stay as cheerfully, productively, healthily above ground as you?” “Choose your parents wisely,” he quips back. Like many jokes, it contains a grain of truth. Genes matter. But they’re not the whole story, or even most of it. Scientists say longevity is around 30 per cent DNA and 70 per cent other factors, including lifestyle choices and psychological strategies. Humans need to be challenged. Continually. When we are, everything in us becomes a little more durable. You could say super-aging is about finding ways to grow, even into our advanced years, to offset the forces of nature trying to diminish us. The principle applies in all dimensions of our lives, even the ones not easily measured by a heart test or a brain scan. Wisdom, character, spirit: whatever these qualities actually are, pretty clearly they anneal in the fire of “just-manageable difficulty,” no less than a marathoner’s cardiovascular system or a chess grandmaster’s frontal cortex. People who find ways to live on what poet Sam Keen called the “green, growing edge,” in all they do, are youthful — no matter what their birth certificate says. Betty Jean “BJ” McHugh’s adaptation involved flipping the usual parent/child motivational paradigm on its head. We try to inspire our kids. But McHugh’s daughter inspired her. Jennifer was a swimming prodigy, a butterfly specialist who competed for Canada in the 1972 Munich Olympics at the age 15. When Jennifer announced she was done with competitive swimming three years later, her mom — who had quietly jogged on the seawall while her daughter churned laps in the pool — realized it was now her time to see how far she could go. BJ is 87 years old. She is the fastest marathon runner on the planet in her age group by an astonishing margin: during the 2012 Honolulu marathon, she crossed the line in five hours, 12 minutes, smashing the old record by nearly half an hour. (Whereupon she did not light up a smoke to celebrate – as she had after her first marathon almost thirty years earlier. Instead she feasted with her son and granddaughter, who were also in the event.) Since her first road race at age 51, the sprite-like mother-of-four from West Vancouver has set more than 30 world records. Aging runners are no rare sight in big-city marathons. But there comes an age point—around 80—where the numbers drop right off. Not coincidentally, it’s around the same point that human athletic performance craters. For reasons scientists can’t quite pinpoint, the body starts wearing down in double-time. Muscle mass falls sharply. Lungs lose their elasticity. Mitochondria—the tiny power plants in our cells—degrade. Bones thin. Balance falters. Old age clamps around us like a suit of armour. Anyone who has found a way to stay youthful in the face of this formidable headwind—the BJ McHughs of the world—seem mystical. For starters, the very exercise that becomes such a struggle when we age. The marathons McHugh runs now are far harder than the first one she ran 30 years ago, even though she’s slowed the pace significantly. Round about mile fifteen, “there’s a little war going on in my mind,” laughs BJ. It takes a mighty will not to stop and walk. The good news: for most of us, walking is more than fine. National health associations in both Canada and the United States recommend 150 minutes brisk walking — or its equivalent — a week. While some studies maintain that working up a sweat delivers outsized benefits, the secret is finding an exercise you will actually continue to do, one that is pitched at a level that’s challenging but not overwhelming. Most sports-medicine experts recommend adding resistance training as we grow older — to strengthen bones, improve balance, and combat frailty. After her morning run, McHugh will sometimes peel away from the tight company of her training group and pop into a yoga class. There is a level of productive restlessness about her — the same restlessness that got her into running in the first place, rather than wait in her car for her daughter to finish swimming. And that shark-like need for constant motion may be as important a key to longevity as the exercise training itself. McHugh doesn’t park her body for long stretches. She doesn’t sit for long without changing position. The television never comes on before the six o’clock news. She prefers walking to driving, even to her bridge games, which are five kilometres away. Increasing evidence suggests we need to just move around as much as we need to exercise. Joan Vernikos, the former director of life sciences at NASA and godmother of “sedentary studies” suggests the single best exercise we can do, bang for buck, is standing up frequently. Again, it’s about challenging the body—in this case, with gravity. And standing up repeatedly maintains circulation by keeping blood-pressure sensors in tune. With moving comes energy, and with energy comes, well, if not eternal youthfulness, at least the mojo to be a powerful role model. Ephraim Engleman isn’t taking on any new patients, and has begun to feel obliged to suggest to his regulars that “perhaps the time has come that you ought to think of getting another doctor.” No thanks, they say: they’ll stick with him. Experience and wisdom are things you can’t just Google. Engleman, who is likely safe in his guess that he’s the oldest practicing physician in America, enjoys dispensing slow, dry witticisms, eyes twinkling under storks’-nest brows. He recently renewed his driver’s license (“so I’m good now until 105”), but in a nod to his family’s wishes, he sometimes lets a driver take him the 30 kilometres to work at the Arthritis Research Medical Center at UCSF, of which he is founding director. Once there, “Eph” answers correspondence, consults with colleagues, and just generally bucks the odds surrounding aging and cognition. The chances of an individual getting dementia double every year beyond age 65. Of those lucky enough to reach 100, only 15 to 25 per cent arrive with all their marbles. The brain of the average 90-year-old is about the same size as the brain of the average three-year-old: typically the shrinkage comes in the frontal cortex and the hippocampus, headquarters of planning and memory filing, respectively. Very old folks like Engleman whose wetware is still high-functioning owe much to what brain scientists call “cognitive reserve”—renovations that keep the brain humming even as senescence sets in. Cognitive reserve is the key to aging very well from the neck up. There are a few ways to build it. You eat a heart-healthy diet, because fatty plaques affect both the heart and the brain. Which Engleman does. You go to school: education levels correlate with brain density. Then you keep going to school, even when you’re out of school. “Lifetime intellectual enrichment” seems to delay the onset of cognitive impairment, notes Prashanthi Vemuri, the lead researcher of a new study out of the Mayo Clinic in Rochester, Minn, published in the journal JAMA Neurology. By how much? Three to six years, on average. So far, so good for Ephraim Engleman. But he may have a secret weapon on his side as well: music. The science bears out his statement—the first part, at least. Playing music seems to challenge brain in ways that offer significant protection from cognitive impairment and dementia, studies suggest. Richard Isaacson, of Cornell, rattles off five studies that have helped build the case: In one of them, six weeks of “music therapy” increased the level of neurotransmitters in the bloodstream of Alzheimer’s patients. “Right there is the biological basis for music, in some ways,” he says. In general, “the deeper your relationship with music, the better the effect.” Indeed, Isaacson was so persuaded by the data that he picked up his guitar again—and now plays bass in a band of neuron scientists. They’re called The Regenerates. In the French village of Trosly-Breuil, just north of Paris, 86-year-old Jean Vanier lives a simple life. Each day, he walks from his house to the group home he established 50 years ago, where he eats, laughs and prays with his adopted family. This is the first L’Arche community. Founded on Vanier’s vision, the organization is built around the idea that if adults with mental disabilities were settled in private homes alongside non-disabled people, the result would be a boon to both sides. Unlike physical and cognitive aging, there is no identifiable point where people start to break down spiritually—and no reliable prescription if it happens. Studies have found that those who attend religious ceremonies live longer, although who can say for sure if the active ingredient is the spiritual part and not, say, the routine, or the power of social networks, or the fibre in the little wafers (okay, we can probably rule that one out). We tend to think of spirituality in terms of meditation or perhaps prayer, a private inward journey. To Vanier, that is only half the story. A second current nudges us in the opposite direction, out of ourselves and into meaningful contact with others. In effect, at a phase of life when many people start closing themselves off, Vanier counsels opening up. Instead of spending our later years cementing our own comfort within tiny tribes, we should be reaching out. In what one could call an adaptation response of the soul, empathy begets empathy. In his famous Grant Study, which began in 1938 and followed a group of male undergraduates from Harvard for the rest of their lives, psychiatrist George Vaillant found that the ones who thrived into old age were the ones who, among other things, figured out how to love and be loved. If there is a reliable prescription for aging well cordially—from the heart—it’s this: the company of people you care about, and who care about you. It’s not quite fair to prop up B.J. 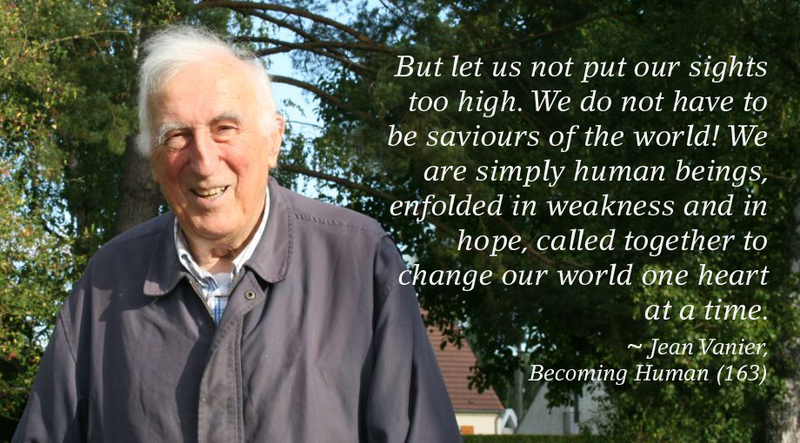 McHugh, Ephraim Engleman and Jean Vanier in their respective shop windows as models of brilliant aging of the body, brain, and soul. The ways in which people age brilliantly aren’t mutually exclusive. Indeed, these three —as with spectacularly robust old men and women of all stripes — have a fair bit in common. All have a strong sense of purpose that pops them out of bed every morning. And while all are extraordinarily conscientious, the drive is directed outward—all three were drawn to helping professions (McHugh is a retired nurse). When Howard Friedman, a psychologist at University of California, Riverside, was crunching the data for the famous Longevity Project—a study that was published in book form in 2011 and followed more than 1,000 American children to their dotage or their grave—he discovered a pattern. The hardest workers had the longest lives. And so we return to the old formula: strive, adapt, live on. The kites that remain in the sky the longest are pinned there by resistance. Madeline, who is five, looked unmoved. “I already know everything about fish,” she said. It wasn’t a bad start. “Rick” is Rick Hansen, the renowned wheelchair athlete who, outside of his charity work, happens to know everything — or close to everything — about one particular fish. 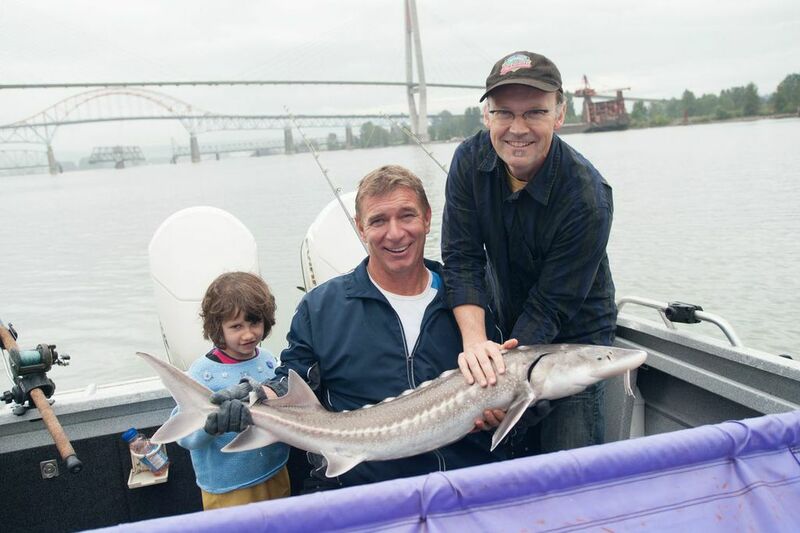 Hansen is director of the Fraser River Sturgeon Conservation Society. And as he loomed into view through a misty rain, from the deck of his boat bobbing at the public wharf in Steveston, B.C., she recognized him as the “man in motion” guy in one of her kids’ books. Madeline had never really been fishing. Oh, I’d taken her to the Father’s Day derby at nearby Rice Lake, where about a million little kids lily-dip their lines in hopes of snagging one of the timid little trout in there. But this was something else. White sturgeon are a species so big and old and storied that catching one is almost as much of a life-changing experience as tagging it and putting it back—even for adults. The sturgeon that swim in the Fraser today are evolutionarily unchanged from the ones that swam before the ice age before the last ice age. No joke: we were going fishing for dinosaurs. Madeline sat on my lap. I could feel the warmth of her right through the yellow rubber rain pants. It was kind of blissful. To busy parents of little kids, life too often seems like a string of teachable moments squandered. By the time we realize what we should have said to help decode their wonder and give it a name, the door has slammed shut. But a day spent fishing for sturgeon is one long master-class in pretty much everything that’s important to know. The teaching goes both ways. Adults make fishing complicated, but a kid’s appreciation of it—as of most things—is big-picture simple. Today we would learn not how different a prehistoric fish is from a five-year-old girl, but how similar. “What do you think sturgeon like to eat?” I’d queried on the drive south through Vancouver. “Worms,” Madeline said, definitively. Turned out she was right: many a novice fisherman casually dangling an earthwormed hook into the Fraser has had a near heart attack when a sturgeon the size of a dancer’s leg takes that bait. But there are things a sturgeon likes even more. Fred Helmer, a veteran BC fishing guide who was along with us, had prepared four rods—including one for Madeline and one for me. And now as we dropped anchor in Rick’s secret favorite spot near the Alex Fraser Bridge, he cast the hooks in and they sank without bubbles. On the menu today was choice pink-salmon parts and —the special of the day — a syrupy clump of skein roe that Fred called “magic bait.” These are protein-rich eggs harvested from a mama pink salmon just preparing to spawn: superpremium catnip. Fred held his hands a foot or so apart. “How big is the fish you’re going to catch?” Madeline shook her head. He went wider. “This big?” Madeline knew exactly how big. In her kid logic, a successful fishing outing is one in which you land a fish that would fit your clothes. Madeline’s sturgeon, by that reasoning, was going to be 109 centimetres long– three foot seven. Mine would be 175 centimetres—five foot nine. What’s cool about sturgeon fishing, though, is that it’s not about size. Every fish has equal merit. Nobody would be taking a sturgeon home for dinner tonight. Earlier this century they were fished almost to extinction—twice—and while their numbers recover, the white sturgeon of the Lower Fraser are protected. But this is more than a catch-and-release enterprise: it’s catch-and-tag-and-release. Sturgeon fisherman are tracking the population: where they’re going, how they’re growing, how many of them are out there — and data on the juveniles is just as valuable as data on the old soldiers. To fish for sturgeon is to be an adjunct scientist. Everyone who catches a sturgeon becomes part of the conservation effort, and in this sense a five-year-old’s contribution is as valuable as any biologist’s. An hour of fishing under the bridge yielded but one tiny sculpin, which Madeline took great joy in setting free. But now the tide had turned. The rising sea was pushing boats upriver, giving the Fraser the appearance that it was running backwards. We were entering a dreamscape where the normal laws of physics were suspended. The scent of that gorgeous bait was carrying on the current. For the fish, the wind had just picked up outside a bakery. Madeline’s rod-tip twitched, subtly. Rick took the rod gently, reefed up hard on it, once, then handed it to me. A fish was on. For some long minutes the tug-of-war continued. Then out of the brackish depths of the Fraser it came, Madeline’s sturgeon, tigerish stripes on its back visible first, then the sharklike head and the flicking tail defining the two ends, establishing its size. I had been trying to stay strong for Madeline—the great stoic hunter little girls expect their dads to be—but my arms were blasted. I was shaking and frankly not too far from tears. “What’s the most humane thing to do with this fella?” I croaked as we brought him alongside. The fish was still. “Is he dead?” Madeline asked. Fred guided Madeline’s sturgeon into a hammock-like sling in the water, which Rick then winched up into the boat. Madeline put on gloves. She came up to her fish. It seemed less like a fish than some kind of farm animal with body armour. Something in a medieval petting zoo. We watched the gills opening and closing, flashes of crimson beneath. Was it suffering? “Back in the day when you could catch and keep sturgeon, my dad would store them on the lawn, for three or four days, with the sprinkler on them – and then go sell them in Chinatown,” Fred said. Rick turned in his chair. “They have the ability to locate food that’s way more sophisticated than ours, using vibrations,” he said. Madeline, who sometimes has trouble locating the snacks in her backpack, stroked her sturgeon, its sandpapery skin, incredibly gently. I picked her up and held her, lengthwise, over top of her sturgeon. It was her size. A measurement confirmed it – within a centimeter. It was probably a few years older. Fred produced an instrument, like the little retail-store gun that scans the barcode tags, and passed it over the fish. BEEP! A microchip under the fish’s skin sent a signal, and a number popped up in the scanner viewscreen. “You can check on your fish once a year,” Rick told Madeline. Thousands of BC schoolkids, from grade two to grade seven, are monitoring the sturgeon stocks by following the stories of individual fish like this one. As Madeline’s fish rested in the sling, a second sturgeon was brought aboard. This time the scan was beepless. So: a new capture. This fish had never been above water. Fred loaded a little glass tag the size of a grain of rice into what looked like a hypodermic needle. We tipped both fish toward the river and they slipped in, headfirst. I thought, romantically, that Madeline’s fish might look back at her before swimming away, but it didn’t. Madeline asked to be picked up. She was dead weight. I had the notion that she was drained of energy in sympathy with her exhausted fish. (Or, less likely, in sympathy with her exhausted dad.) Probably it was just a perfect storm of a couple of late nights, fresh air and a glucose crash from the nut bars. But clearly, this was all almost too much for her to process. She didn’t have the language for it. I wondered what new fears we had introduced on this trip. The idea of a whole teeming subsurface world: monsters under the bed. Her fish had been brought up gasping into the air. It looked bad, but it really wasn’t, we insisted. Did she buy it? (You could see her searching for the right analogy and later she found it. “How would you like to be holded under water?”) A million mind-blowing factoids swirled: Dinosaurs are real. Dads are weaker than they let on. And the people we read about in books might one day step out of those books and take us fishing. She had been a motormouth on the car ride over. From the back seat issued strong opinions on how Beethoven lived in China, how things were better in the days when dads like me weren’t underfoot and moms played with kids and gave them treats. (Also: could she have a horse?) But now she was silent. I looked down at her in my arms. She was asleep. You can guess how the rest of the story goes. Kid logic prevailed. The sun broke through. Soon after my own fishing rod twitched with a bite. After a monumental struggle that ensured I’d be sleeping with a heating pad for days, I brought this last fish in. Madeline was awake now, saucer-eyed, trying to get close without getting in the way. Fred’s hand got raked by the pointy scutes and was trailing blood as he scanned it. This fish was monstrous. It measured 93 centimetres around, its belly probably full of pink salmon. It was between sixty and eighty years old – the age of grandpas and grandmas. Now it was going back. With great luck it will still be here a generation from now, and maybe Madeline will catch it again with her own five-year-old son or daughter on a fine fall day like this one. But there was one thing that didn’t square. Madeline’s fish was Madeline-sized. Mine was supposed to be my dad-sized: that was what she’d ordered. We measured it. From its nose to the tip of its tail it was around 215 centimetres. Madeline leaned close. A huge—and I mean huge—black bear walked right past the car as I was loading my infant daughter into the back seat. It was in no particular hurry. It had emerged from the forest and was cutting through our driveway en route to the dumpster near the elementary school, where it would poke around and then hang a left back into the wild. We both watched it recede. At 300 feet it still looked pretty big. Lila was curious but not frightened: it occurred to me that living among bears—not to mention coyotes and the odd cougar—is normal for her now. And that’s a good thing, I think.